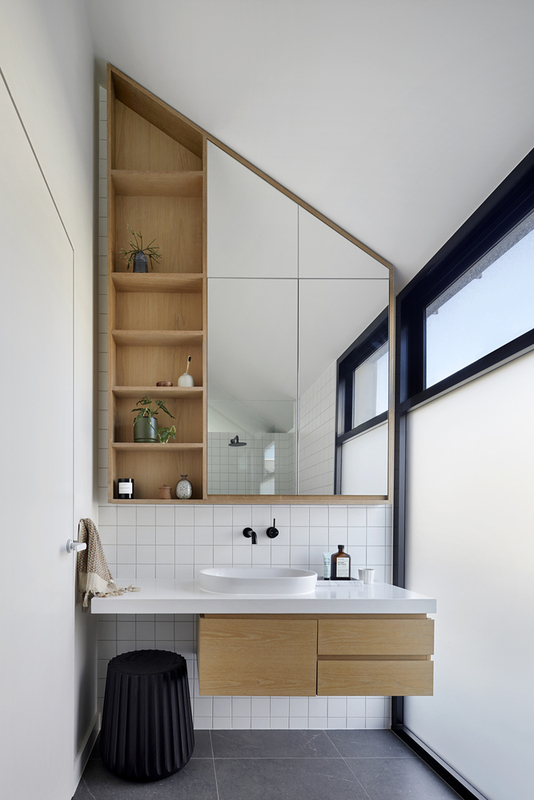 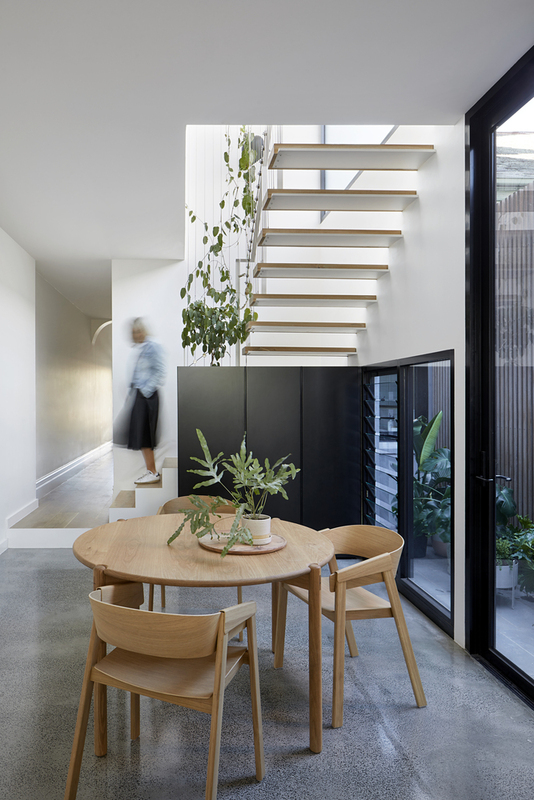 The Cable House transforms a small, Port Melbourne dark workers’ cottage into a contemporary family home, finding elegant solutions to the challenges posed by the dense urban environment, narrow south-facing site, and heritage context. 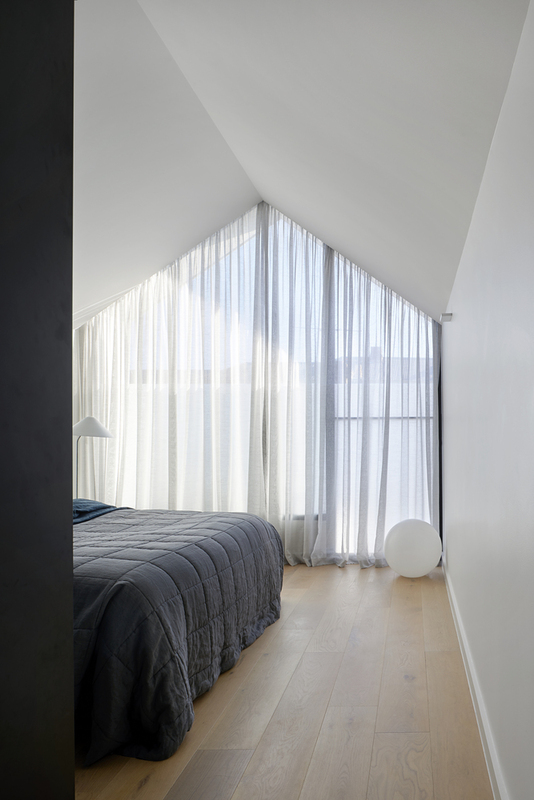 The project addresses two seemingly competing requirements. 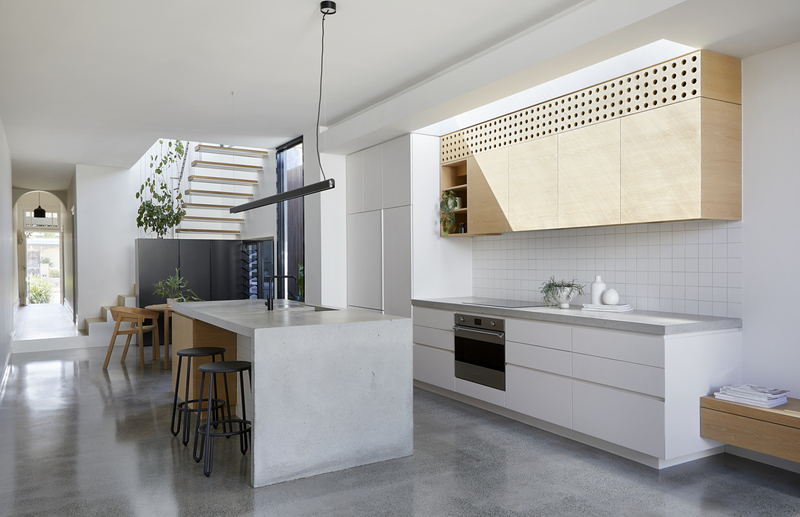 The design must deliver light, functional spaces for a young family, and simultaneously remain sensitive to the surrounding area which I believe it delivers in spades. 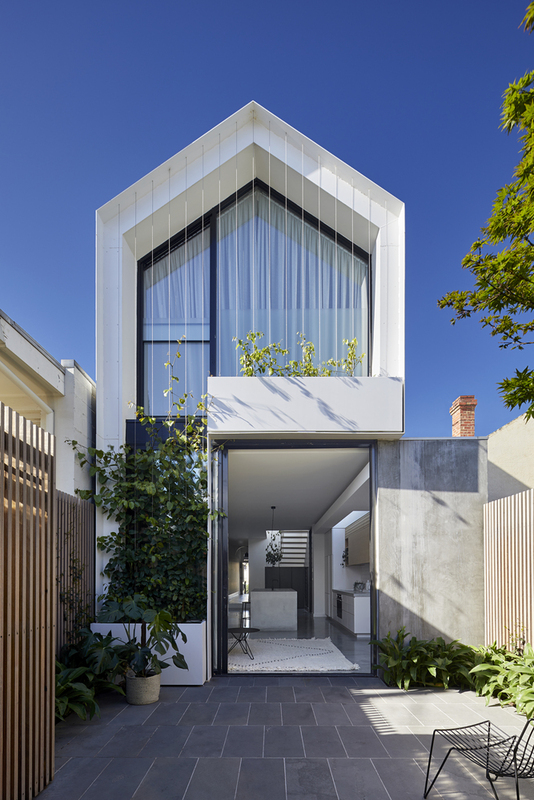 Designed by Tom Robertson Architects, the striking gable roof ensures the lowest points adjoin neighbouring properties, a simple yet clever solution to planning regulations. 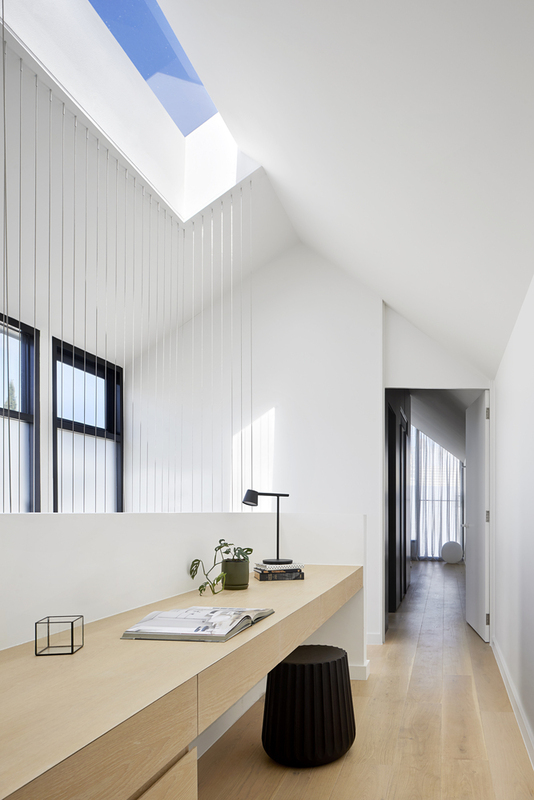 A skylight over the stairs and another above the kitchen bring natural light into the living spaces and deep into the house, while a window at table-height connects the dining space to a small eastern courtyard. 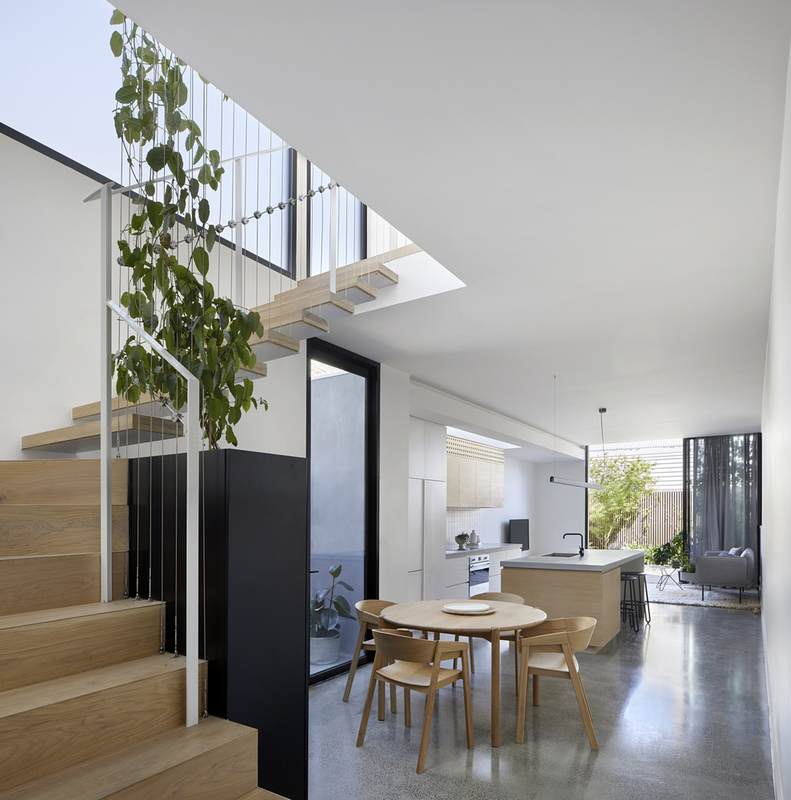 Working with minimal outdoor space, plants become integrated into the architecture to preserve a connection with nature. 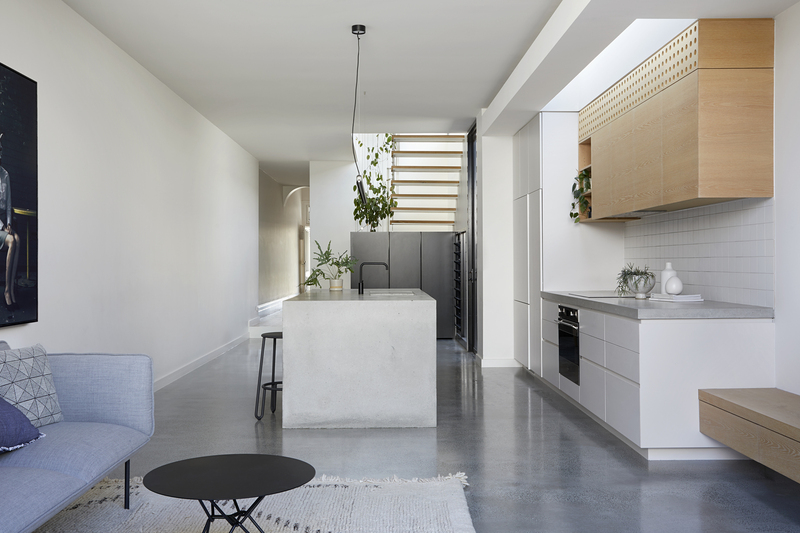 A planter box is built into the façade – vines growing around steel cables soften the minimalist lines and, over time, will create a living green exterior. 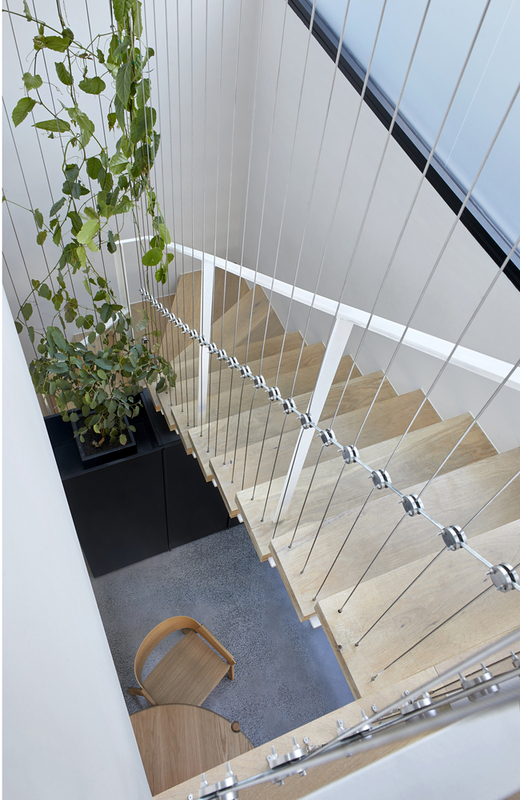 Internally, a planter for vines is encased in joinery and steel cables form the balustrade, echoing the cables and vines of the exterior and bringing foliage into the very heart of the home.